Finance Minister Arun Jaitley said they are closely scrutinising all Jan Dhan and dormant accounts. 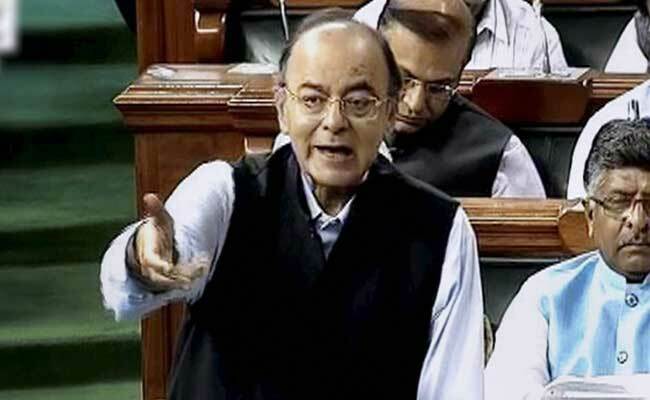 New Delhi: While tightening the noose around 18 lakh account holders whose incomes don't match their deposits in numerous banks across the country after Prime Minister Narendra Modi's demonetisation announcement in November last year, Finance Minister Arun Jaitley promised in the Lok Sabha today the offenders will be taken to task. The authorities have detected 18 lakh cases where the income profiles of people don't match their account profiles. These people have been asked to provide information and many have already responded. Those who have not provided the required details will be sent notices, Mr Jaitley said during Question Hour. He added that they are closely scrutinising all the Jan Dhan and dormant accounts to ascertain if they have been exploited after note ban. "We are monitoring all the data. Our special focus is on those who deposited big amounts," Mr Jaitley said. In his budget speech, Mr Jaitley had said that from November 8 to December 30, deposits between Rs 2 lakh and Rs 80 lakh were made in about 1.09 crore accounts with an average deposit size of Rs 5.03 lakh. Deposits of more than Rs 80 lakh were made in 1.48 lakh accounts with average deposit size of Rs 3.31 crore. Despite all the benefits of digitisation, the risk of cyber frauds can't be ignored. Mr Jaitley agreed and said that technology has to keep pace with crime and banks have hired experts to develop firewalls around their systems to make them difficult to breach. He also informed that the Income Tax department, Enforcement Directorate and other agencies have seized Rs 141.13 crore in new currency notes while acting in different parts of the country.